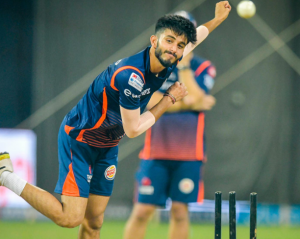 While all eyes will be on the big named stars in the upcoming IPL, teams have also splurged a considerable amount of auction money and scouting efforts to identify Indian uncapped players, who could provide the element of surprise and catch opponents off guard. For the relatively “lesser-known” players, the IPL has come to be a major audition to show the selectors that they belong to the big stage. Here are few Uncapped players who could shine bright after an impressive domestic season. Coming back into the IPL after a 2 year period, the Chennai franchise will be looking to re-assert their dominance in the IPL. The pace attack is expected to be headed by English bowler Mark Wood along with Lungi Ngidi. Shardul Thakur will be the favourite to head the largely inexperienced Indian attack. Rajasthan bowler Deepak Chahar providing a good alternative for the new ball.Chahar did not have a great 2017 IPL with the Rising Pune Supergiants team, picking up just 1 wicket in his 3 games with an economy of over 10. However, with an impressive Syed Mushtaq Ali tournament, the domestic T20 competition, the 25-year-old has made a case for himself. With an economy of under 6, he finished as the top wicket taker with 19 wickets in his 9 matches, including a 5-wicket-haul against Karnataka. Thakur, who is only 7 matches into his T20 International career, has has an economy of over 9 in the powerplay overs, and with D Bravo and Shane Watson expected to take up the bulk of the death bowling, Chahar will provide a good alternative with the new ball. KKR have managed to retain the core of their squad from last season, and have added an exciting youth mix of S Mavi, K Nagarkoti and S Gill amongst their ranks. S Gill scored the bulk of his runs at the top of the order in the World Cup winning squad and it will be interesting to see how the Punjab batter will perform in slower conditions and also should the need arise as the finisher, if S Narine be promoted as the pinch hitter. With a fragile squad, and no big name backups for Chris Lynn or Andre Russell, the likes of A Wankhade and I Jaggi could be expected to play a crucial role as the link between top order and the lower order. 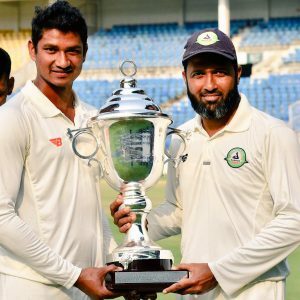 Coming in at no.5, Wankhade, lead the run charts for Vidarbha with 151 runs in 5 games in the Syed Mushtaq Ali Trophy with modest strike rate of 127.96. 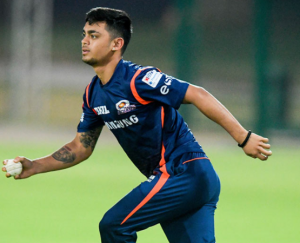 The 26-year-old has been amongst the runs this season across formats in the domestic circuit for Vidarbha, and his ability to clear boundaries and toughen it out when required will help his cause for a place in the starting 11. Ishank Jaggi will don the KKR colours after a consistent run in the domestic season for Jhakrhand. The 29-year-old smashed 213 runs in just 4 games at a SR of 167.71 in the Syed Mushtaq Ali at the top of the order, coming in at No.3. The 29-year-old also a domestic T20 century to his name and with an injury prone squad his rich vein of form could come in handy. Out of his 7 IPL games, perhaps the most memorable one is against Sunrisers in the eliminator last season, where he held his nerve in a 36-run stand with Gautam Gambhir to steer KKR home. Rajasthan picked the Karnataka off-spinner for INR 6.2 crores in the auctions. The former Mumbai Indians player is the lone off-spinner in the RR squad, and in addition is handy with the bat. The 29-year-old had a breakthrough season 2 years back for Karnataka, and was the leading wicket taker for his side in the 2017/18 Ranji Trophy with 34 wickets. 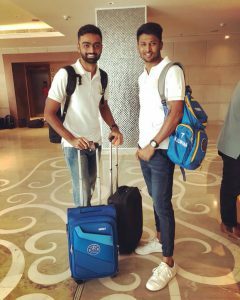 Along with RR spin counterpart Shreyas Gopal, the duo picked up 25 wickets between them as Karnataka won the Vijay Hazare title this season. Despite not being amongst the wickets in the latest Syed Mushtaq Ali, Gowtham did well to contain the opposition, and will no doubt benefit from picking the brains of RR mentor Shane Warne. Picked up by Gujarat Lions in the 2016 season as a 17-year-old, Ishan Kishan comes with a lot of promise. He burst onto the scene after hitting 273 against Delhi in the Ranji Trophy (2016-17) season. An attacking left handed opener, the youngster could don the wicketkeeping gloves for Mumbai Indians squad. Kishan smashed 313 runs in the 2017/18 Vijay Hazare Trophy in just 5 games at an average of 78.25, including 2 50s and a century. 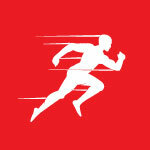 He was also the leading run getter for his side in the Syed Mushtaq Ali competition, with 273 runs in 8 innings. He was part of the India A side in the Deodar Trophy and scored a 62-ball 73 in a losing cause to Karnataka. Mumbai will need to shrug of their slow starts in the competition if they are to retain their crown and this quick-fire youngster could prove vital. After not opting to buy Harbhajan Singh in the auction, the MI’s inexperienced spin department is expected to be led by Krunal Pandya. The defending champions also have Akila Dhananjaya, Rahul Chahar, Mayank Markande and Anukul Roy in their armory. 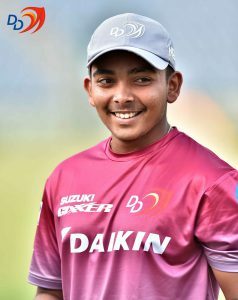 After picking up 6 wickets in 3 games in India U19’s Youth ODI Series in England last year, disappointment followed for Rahul as he failed to make the cut for Rahul Dravid’s U19 World Cup winning squad. However, the young leg spinner Chahar it off, picking up 6 wickets in 4 of his Syed Mushtaq Ali Trophy matches in 2018 for Rajasthan. Markande, another leg spinner in the ranks, is just 4 matches into his T20 domestic career. The 20-year-old has picked up 5 wickets in the Syed Mushtaq Ali Trophy at an economy of 7.43 and both youngsters could play a crucial role in spin friendly tracks. The left arm Kulwant Kejroliya, who made his first class debut in 2017, has reaped rewards for impressive domestic form. The 26-year-old enjoyed a fruitful Syed Mushtaq Ali Trophy picking up 14 wickets in 10 games this season as Delhi clinched the competition. A former waiter in Goa, Khejroliya has accumulated 30 wickets in 13 List A games with an impressive economy of 4.94. 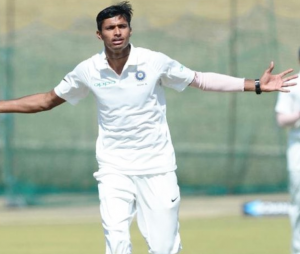 Fellow Delhi pacer Navdeep Saini has been more effective in the 50-over format picking up 31 wickets in his 20 List A games, and played only 4 games in the Syed Mushtaq Ali after he was called up to be net bowler for India’s tour of South Africa. A consistent 135+ Kmph bowler, Saini can provide a good back up to Umesh Yadav if the traditional pacy Bangalore track is prepared for this year. With a power packed top order, it remains to be seen if Shaw will get to wield his willow for Delhi Daredevils this season. However, the diminutive opener is no short on talent. Ever since his then record breaking 300-ball 546 in school cricket all eyes have been on this Mumbai youngster. He has made all the right noises since then, leading India to a near-flawless U19 World Cup win notching up 261 runs in his 6 games.With already 5 first class hundreds to his name Shaw could provide a solid opening option should Delhi look to accommodate an extra foreign bowler.